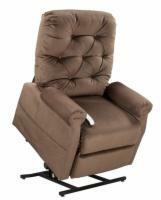 A three position lift chair reclines further than a two position lift chair. It can almost reach a full recline, although there will be a slight "V" where the back and seat meet. 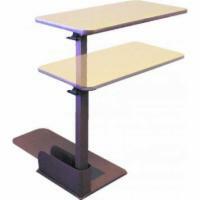 The three position lift chair isn't limited to three positions, however. 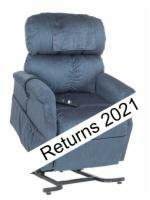 It can recline to any position in-between straight and its reclined position.